Applications are now open for the Governing Board of Directors. Click here to see a full job description and apply. Deadline for applications is February 1st, 2019. Contact Suzanne Stone, Executive Director, sstone@komengreatercetx.org with questions. Some of our most dedicated volunteers are our Board of Directors and Advisory Board. The expertise and passion that this diverse group of professionals brings to Komen Greater CETX is invaluable in helping us fulfill our mission to save lives and end breast cancer forever. To learn more about volunteering as a Board member, visit our volunteer page. Click on each member’s name to learn more about the professional experience they bring to Komen Greater CETX. 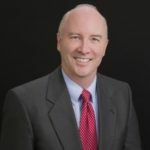 Scott O’Brien is partner and Director of Wealth Management at WorthPointe an Austin-based investment and financial planning firm. He has seen a number of his friends and family members effected by breast cancer and wanted to help in Komen Austin’s mission of education, treatment and support of research to find a cure so that someday women and their families will no longer have to endure this struggle. 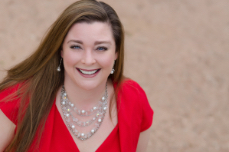 Director, U.S. Legal Services, HomeAway, Inc.
Courtney Dickey has served on the Susan G. Komen Austin Affiliate Board of Directors since 2012 as a member at large, Secretary and she currently sits in the role of Immediate Past President. She is the General Councel for Dosh, and Austin based app company. Outside of the Affiliate, Courtney donates her time as a member of the Board of Directors of The Junior League of Austin and as a National Collegiate Membership Director for Kappa Delta sorority. Partnering with business owners who are focused on incorporating Human Resource Management solutions to drive business objectives and build a strong and engaged workforce. A business focused Human Resource Professional who has the proven ability to partner with executives to develop and execute strategic solutions for breakout growth. I have specialized expertise in linking business goals with modern, innovative and common sense based HR solutions that create a competitive advantage and drive organizational success. Bobbi Dangerfield leads Global Business Services, a cross-functional organization focused on end-to-end sales enablement, order management, customer order support and business intelligence. Her role is about making Dell the easiest company to do business with in the world for customers, partners and team members. She has more than 30 years of experience in Information Technology, Customer Service and Customer Relationship Management (CRM). Prior to joining Dell, Bobbi held positions at Burlington Northern Santa Fe Railway and IBM. She received her BBA in Business Computer Information Systems from Dallas Baptist University and her MBA from Southern Methodist University. Bobbi serves as North America co-chair of the Dell Women in Action employee resource group, which focuses on enabling women to grow and thrive through networking, leadership and expertise. She previously initiated chapters in Malaysia and El Salvador. She also serves on the board of directors for Dress for Success Austin, the Texas Conference for Women, and the Susan G. Komen Austin Affiliate. Bobbi lives in Austin, Texas, with her husband, Elmer, and has two grown children, Paige and Tyler. Karin Foster is a dedicated community volunteer in Austin, Texas. In addition to serving Komen Austin for the past eight years as a weekly office volunteer, Pink Party Gala co-chair and legislative women’s health advocate, she has provided leadership as an Executive Board member for several other local organizations. Among them The Travis County Medical Alliance, Austin Women’s Tennis Association, Young Men’s Service League, and as Anderson High School PTSA President. Karin was drawn to volunteer with Komen Austin after her sister-in-law was diagnosed with breast cancer and is fiercely passionate about the Komen Austin mission to save lives by meeting the most critical needs in our LOCAL community. Karin is married with four children. In her previous life she worked as a Human Resources professional in healthcare and management consulting. Joining the Board of Directors in 2017, Mary Ellen is a Senior marketing executive with 20+ years of experience in strategic marketing, brand building, business development and advertising. Expert in achieving business objectives via targeted marketing programs. Her deep skill set in developing fully integrated global campaigns serves as a vital resource for the affiliate. General Counsel, Optiva Inc. & Licensed Realtor at Keller Williams Realty, Inc.
Lisa is an experienced REALTOR, Corporate, Patent, and Intellectual Property attorney with a broad unique background of more than 16 years of experience in real estate, law, contracts and negotiations, U.S. and foreign Intellectual Property and corporate law. A unique combination of experience in intellectual property, international business and transactional law in global environments in many high tech and engineering fields. Work background includes in-house and Am Law 100 law firm experience counseling clients on a broad range of complex legal, business, and strategic issues. Lisa joined the Board in 2017 and brings her legal knowledge and strong community connections to the affiliate. Dr. Bala, as her patients affectionately call her, is an ocologist at Texas Oncology in Austin. Her areas of special interest are women’s health, breast cancer, quality of life in survivorship, colorectal malignancies and novel therapeutic agents. She is very involved in survivorship community outreach programs. 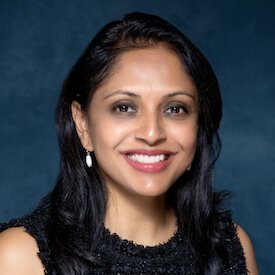 An advocate for breast cancer patients, with a specific interest in metastatic disease, Dr. Bala volunteers her time not only on the Komen Greater CETX Board, she also works with other non-profits including Casting for Recovery. Jane served as the President of the Board for the Susan G. Komen East Central Texas affiliate prior to the affiliate joining forces with the Susan G. Komen Austin affiliate. A breast cancer survivor, she is passionate advocate for the services Komen provides. Bridgette Thomasson is an East Texas native and happy to call Tyler home. Bridgette had a successful career in human resources and consulting working with clients on a national and global level. When she settled in the Tyler area, Bridgette decided to leverage that experience and embark in real estate. She is an active member of the National Association of REALTORS©, Texas Association of REALTORS©, 2017 Treasurer and 2018 President-Elect for the Women’s Council of Realtors, and the Greater Tyler Association of REALTORS©. Bridgette was recognized as the 2017 Entrepreneur of the Year by the Women’s Council of Realtors Tyler. Bridgette served on the Susan G. Komen East Central Texas Board of Directors prior to the affiliates joining forces in 2019.